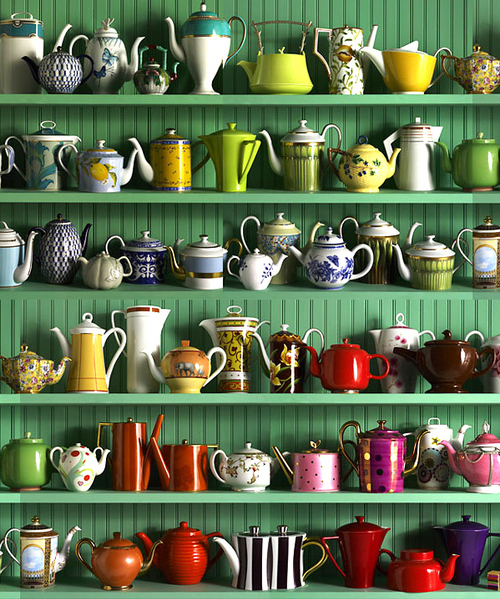 wowy zowy....I have always dreamed of having a wall full of tea...early grey, chai, mint, jasmine...but now I want a whole wall of teapots too! How cute is that?? Immediately pinned! this would make for the largest. tea party. ever. I'm sorry, you are going to have to come over to my office and wipe the drool off of my desk. That is stunning! It will take me years to curate a collection of teapots like this!